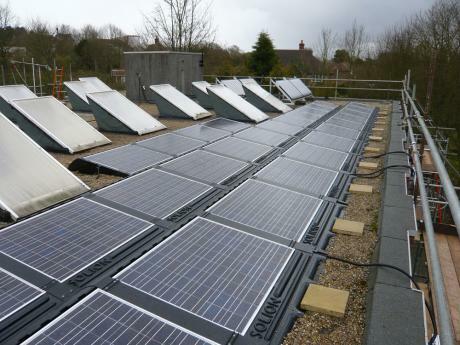 A new report published today shows that renewable capacity in the South West has more than doubled over the last year. The 'Renewable Energy Progress Report' published by Regen SW, shows that renewable electricity capacity increased by 142 percent in the region, from 217MW in 2010/11 to 525MW in 2011/12. As the table above shows, the explosive growth was mostly driven by solar PV, which accounted for 237MW of all new renewable capacity in the South West during 2011/12. Small-scale solar dominated the installation market, representing 160MW of installed capacity, with large-scale solar parks adding a further 75MW of capacity to the area.